What do you get when you combine surf music, go-go music, spy themes and a cool sci-fi vibe? 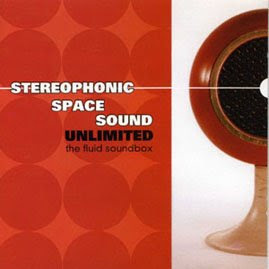 Stereophonic Space Sound Unlimited of course. This very chic, ultra cool, Swiss combo produces some of the finest intrumental mod lounge tracks you'll ever hear. They have a whopping five albums to their credit: Jet Sound Inc, Live Fast Die Young/Jo Siffert (film soundtrack), Plays Lost TV Themes, The Fluid Soundbox, and The Spacesound Effect. Each is good with its sort of feel and theme, but for me the best is The Fluid Soundbox. 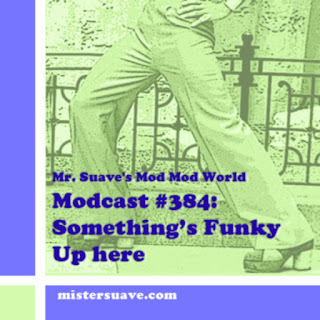 It incorporates more sixties sounding spy themes, go-go music, and otherworldly jetset bachelor pad music than the others, giving it much more of a cool lounge feel. The song here, "Dragon City", combines all of these elements into a single ubercool track.